Storage bays are known to be utilitarian, spaces for anything and everything needed for a cross-country adventure. To want anything more seemed an aesthetic fantasy. Until now. 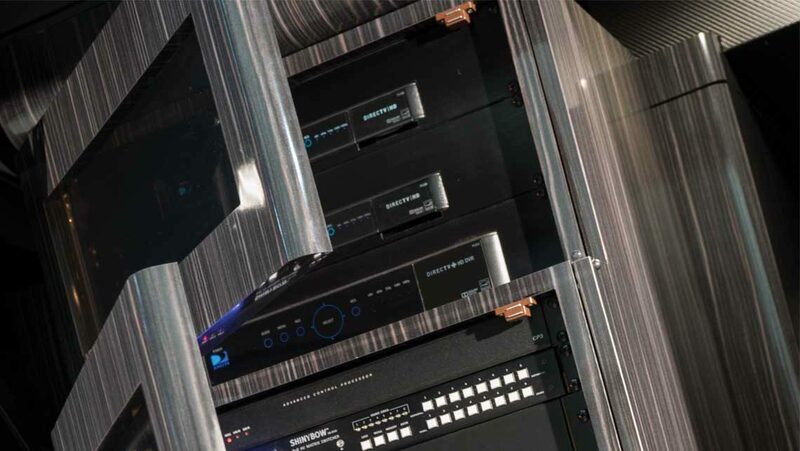 Electrical panels, located in a single bay, are covered in a faux carbon fiber material. Whether selecting the H3-45 for its contemporary lines and full body paint, or the classic styling of the X3-45 with its polished stainless steel sides and high interior headroom, all Marathon coach owners know they’ll have abundant basement storage. 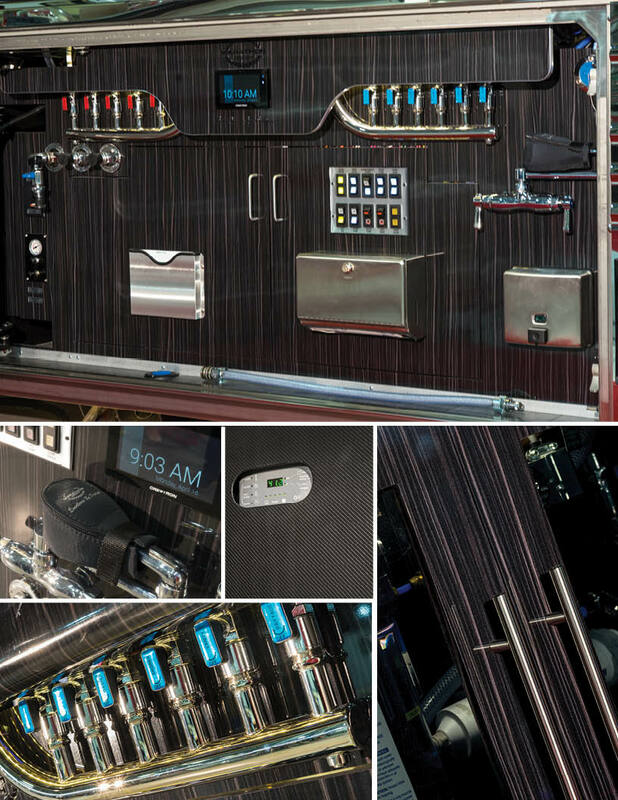 However, the engineering team has once again raised the bar, ensuring that every coach now comes standard with the upgraded and stunning bay area that’s even more functional than the previously designed storage areas. Top photos: Each hidden panel box cover is clearly labeled. 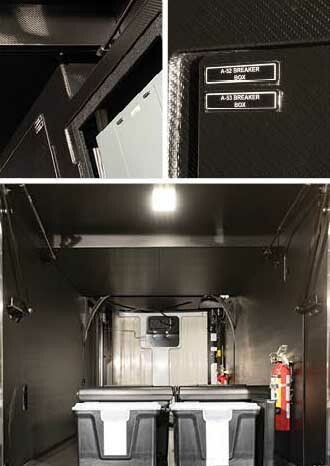 Bottom photo: One pass-through bay is completely free of electrical boxes, which provides maximum storage. 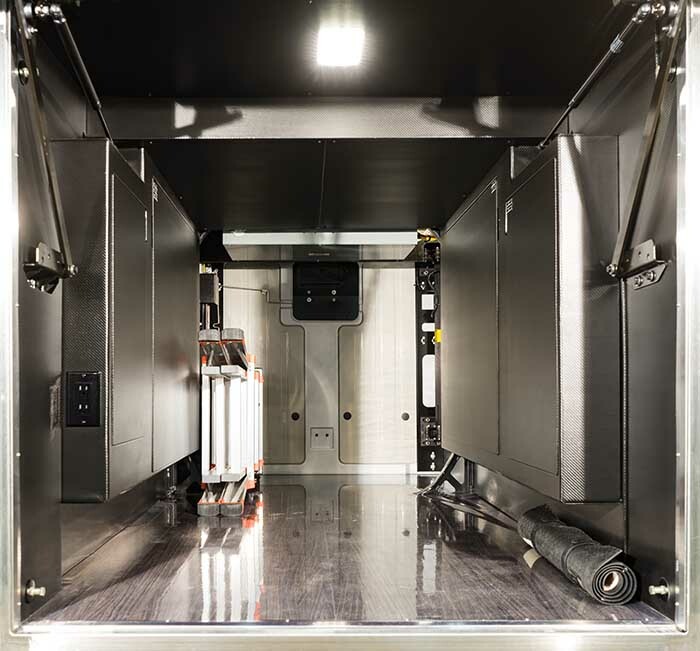 Electrical panels, located in a single bay, are covered in a faux carbon fiber material. Because the materials in the previous design were more difficult to keep clean, therefore more apt to appear tired and old, and not reflecting the tailored finish of components used in coach interiors, Marathon’s engineering team decided to use designer vinyl for the walls and ceilings, and designer, commercial-grade interior flooring for the bay floors. The changes not only simplified the cleaning process, but also provide ample design options because of the numerous colors and textures that are available in these durable materials. In their unrelenting quest for perfection, the team continued to seek an innovative material palette that was simple, practical and beautiful. 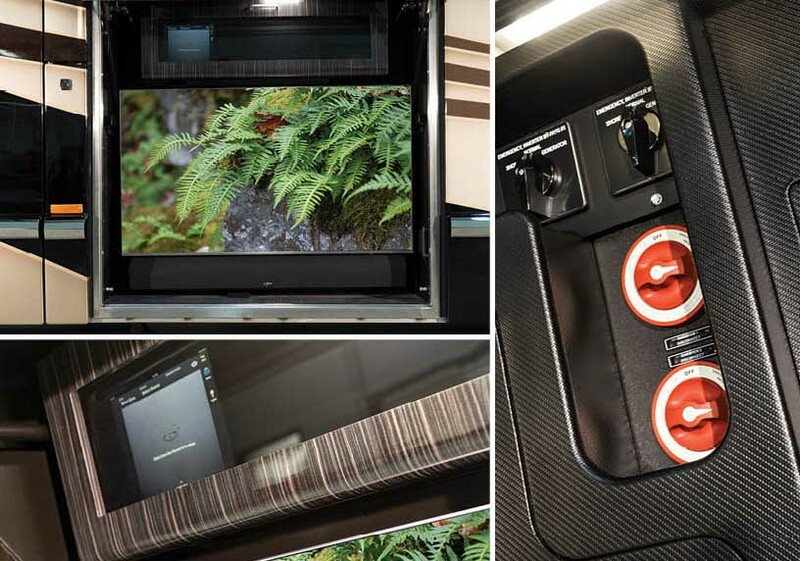 After 30 years of using durable and functional brushed aluminum on the plumbing bay panels and more traditional laminate on the cabinets, Marathon was looking to have underbelly cabinets more closely resemble sophisticated interior cabinets and furniture.